One of a kind custom sculpted Garden Fairy House Woodland Cottage Fairy Box with fairy furniture is handmade by Laurie Rohner. 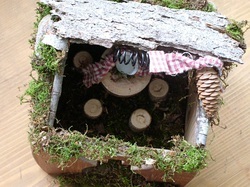 ﻿SOLD Garden fairy house is a custom made woodland cottage enchanted with moss twigs and bark. 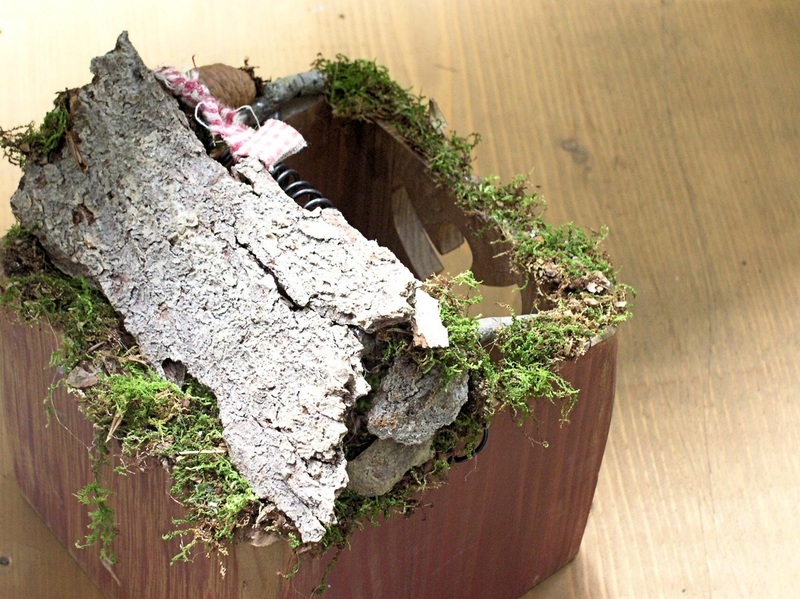 Hand sculpted woodland fairy house is made from a wood box with an angel cut out for the door. 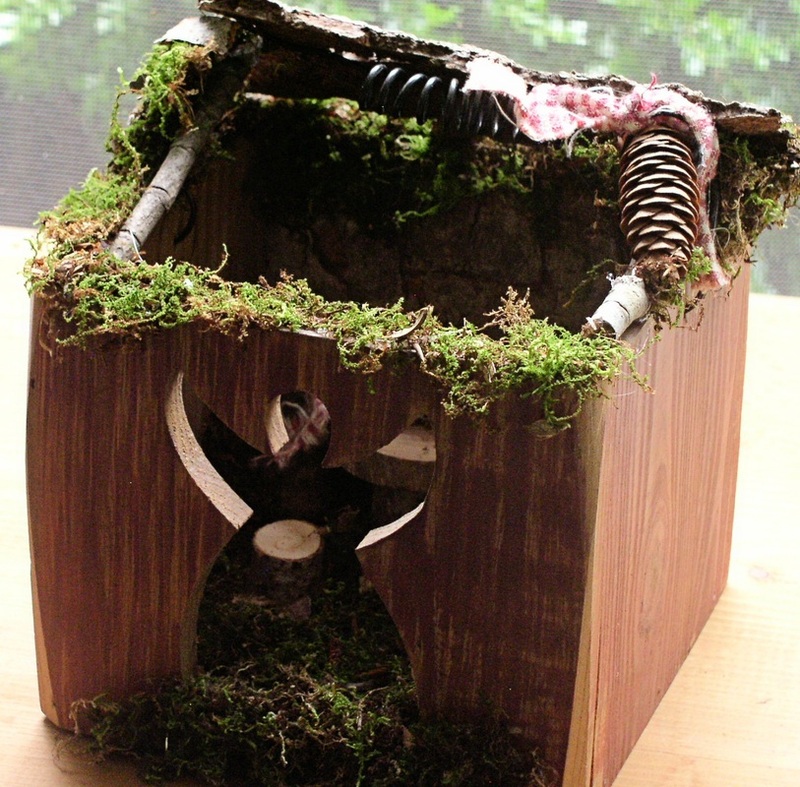 The top is partially open so you can see inside. 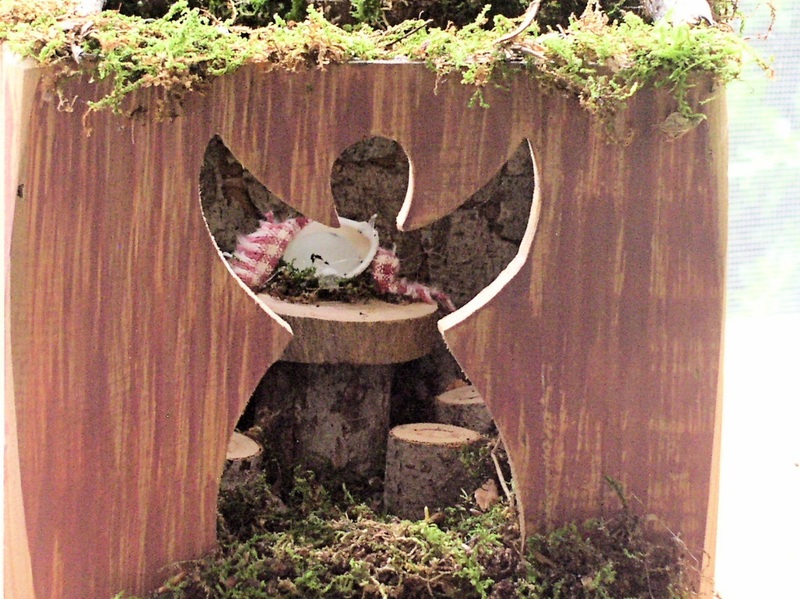 There is a round table and four stools ready for your fairies to join in and have their own little party. Delight for all ages. 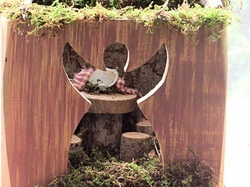 I send the name of the fairy so make sure you keep an eye out for her. 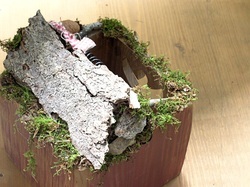 Measures: 7w x 7h x 6d.